Just as twelve Signs form the basis of the Zodiac, twelve Houses too are contained within a Natal chart. There are twelve because this is the closest possible approximation to the natural number of months in a Solar year. Yet there are various House systems determining a variety of ways to interpret a Natal birth chart. The variation of the systems may be more easily understood if it is realised that as the centuries have gone by, man has learnt more about the ways of measuring the Earth and the positions of the bodies as seen in the sky. 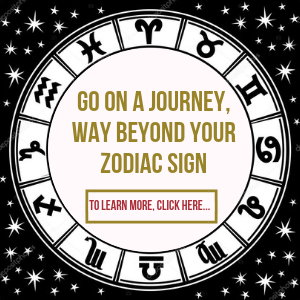 So it is by choice and through trial and error that each person learning Astrology will eventually choose which House division suits them best, and more importantly which one they feel gives them the most accurate results. The usual starting point to number the Houses from is the Ascendant, which of course is different for everyone. However, many people will not know their birth time, knowing only their date of birth. Therefore, instead vibratory patterns are established by interpreting the character from the Sign position, and the circumstances of life from the Houses and their occupants and rulers. The natural Zodiac starts at Aries, but since each person is born at a certain time and place involving a particular latitude and longitude, the First House begins at a precise point on the ecliptic. This in many cases will be your Ascendant Sign, for example if the Sign of Libra is rising, your ruling planet will be Venus. Your chart ruler simplified is therefore your persona in essence, the way other people simultaneously see you and the ‘window’ through which you view the world. Therefore if it is true that the Ascendant is only a mask, then the starting point or the vernal point of sunrise is the beginning of life, the cusp of the First House. As each House system differs one person’s First House may extend into more than one House too. This therefore indicates more than one expression of character. However, the easiest system to use remains the Equal House system, as it has a relative level of simplicity based upon twelve equal 30 degree sections. This system has somewhat gone out of favour, as cusps are merely aspect-points to the Ascendant and nature does not work quite so neatly. Undoubtedly its popularity among new learners of Astrology is due to the ease with which a chart can be produced. Nowadays though, charts can be produced instantly by computers, unlike years ago when everything had to be done by hand. Now the most popular method of House division it seems has become Placidus, a time based system of trisections and arcs. Placidus developed the Mathematics to calculate the House cusps, and it is named after the seventeenth-century Astrologer and monk Placidus di Tito. Now, this is my choice and after producing thousands of Natal Charts over the years, have found this the most reliable for me. There are of course other House systems, but the former two along with the Koch system are the most used today. Alternatively, Koch is based on dividing the quarters of the chart formed by the Ascendant and Midheaven axis into three equal time segments. This results in an individual calculation of the intermediate House cusps using the ecliptic, the Ascendant and place of birth as reference for the birth location. However, there can be a difference of almost a whole Sign between Koch and Placidus. In sum, a House system is therefore the method used whereby the Horoscope is divided into 12 sectors, each representing a different area of life. The earliest Astrologers used a wide variation of House systems changing methods as learning advanced. 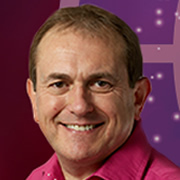 However some Astrologers favour one particular House system, while others may use a combination dependent on Natal charts and predictive work. So each person will eventually choose a system they feel comfortable with that brings the best results for them.